Happy hump day everybody! :) I hope you are all having a fabulous summer! Today's card is all about summer, and I'm all about summer right now as well. Not that Nebraska winters aren't a barrel of laughs and all, but I like a little sunshine in my life. 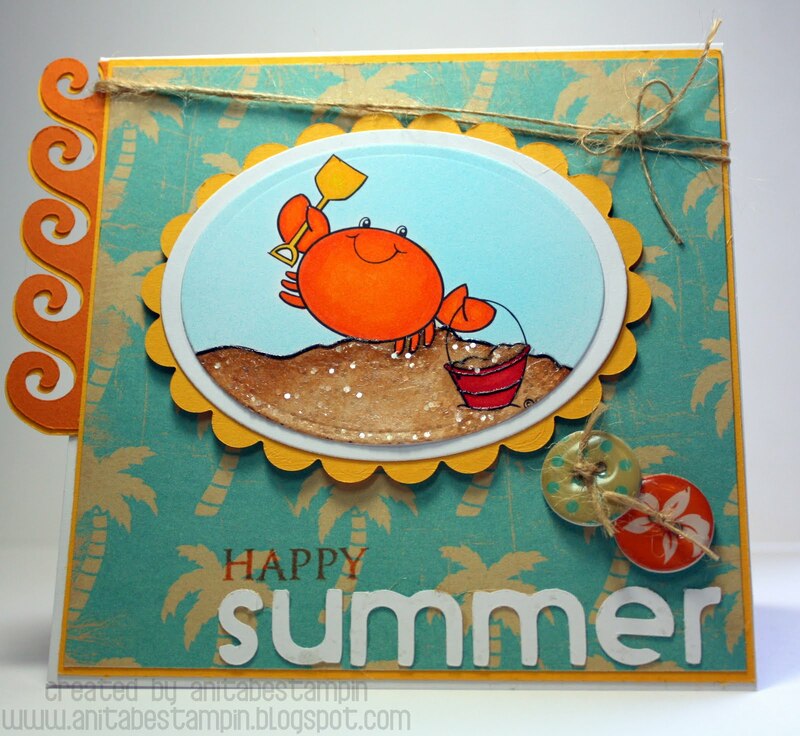 LOL I broke out my Cricut machine once again to create the word summer and the wave border. What a fun little machine! The sand was created by adding a thin layer of glossy accents on top of the Copic coloring and then sprinkling Martha Stewart crystal course glitter on top. The sand looks really sparkly IRL! Soooo, I'm wondering how many of you Twilight fans were up late last night watching the new Eclipse movie? I'd love to hear your thoughts on the movie if you had the chance to see it. I'll likely see it while it's still in the theatre, but I'll probably wait until a little of the excitement over it settles down. Have a sunshine filled day! 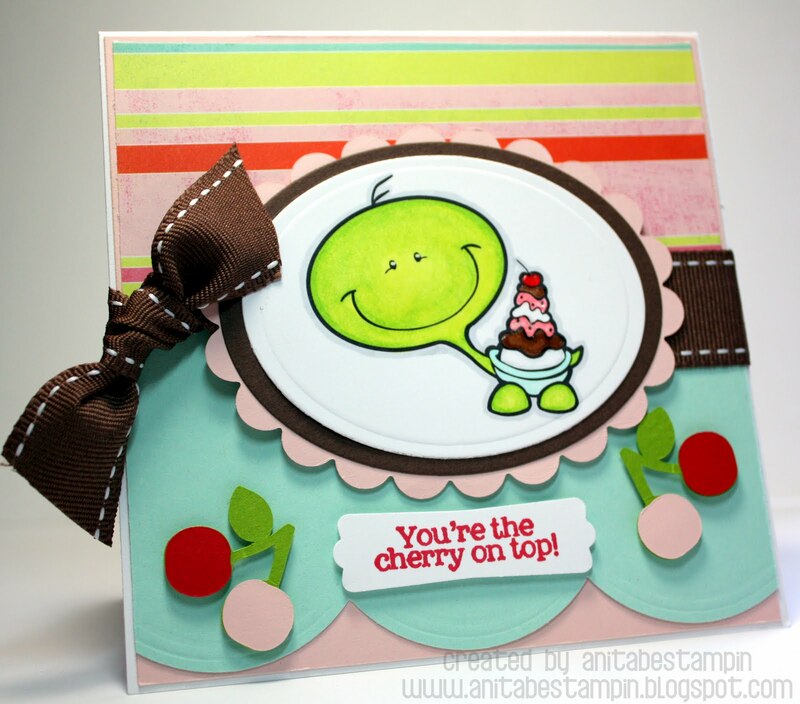 I'm so excited to announce that I have been asked to be a guest designer for 2 Cute Rubber Stamps for the month of June...woot woot! 2 Cute offers both rubber stamps and digi images, and they are just that...too cute! I hope you'll check back throughout the month to see the other projects I've made with these adorable images.